Cristiano Ronaldo plays on the left flank or at the striker position for his clubs and country and is an absolute goal machine. One of greatest footballer of all time, Cristiano Ronaldo turns 34 today. At this age, in a usual scenario, footballers are at the tail end of their career and preparing for retirement. However, the Portuguese international is only getting better with age – and this is not just a phrase to sensationalize the footballer. 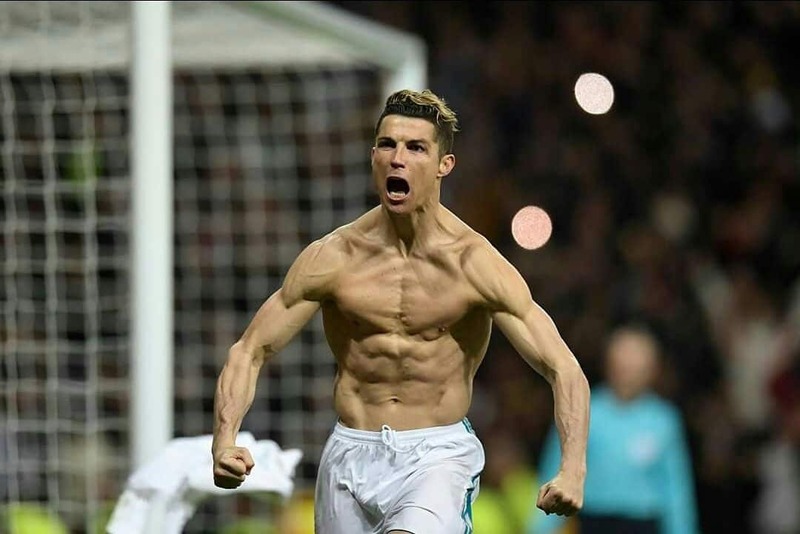 It is a fact; a few months ago when Ronaldo moved from Real Madrid to Juventus, his medical report at the Italian club reflected on his immaculate physicality – three incredible statistics emerged from the medical, where his body fat, his muscular mass, and speed revealed the numbers behind his super-man like structure. Ronaldo plays on the left flank or at the striker position for his clubs and country and is an absolute goal machine. He averages 40 + goals every season – only Lionel Messi has been able to match this feat of the talismanic forward. Leaving a legendary impression at all the major clubs he has played for – Manchester United, Real Madrid and now, right on track of doing the same with Juventus- Ronaldo has won every trophy that football has to offer at a club level. This free-kick scored by Cristiano Ronaldo is still regarded as one of his finest for Manchester United. Cristiano Ronaldo scored this goal as a Real Madrid player against his current team Juventus. The Italian club were eliminated from Champions league that night. There is no standout goal for Juventus as such yet. So, here’s a compilation of all his goals, skills and assists so far for Juventus. The 5-time Ballon’Dor winner is Real Madrid’s all-time top scorer scoring 450 goals and registering 119 assists in 438 appearances, averaging 50 goals scored per season. He Scored 33% of Real Madrid’s 1378 goals in last 9 seasons, with 40+ goals in 8 of those seasons. The forward joined Real Madrid in 2009 from Premier League Club, Manchester United, where he had won the Premier League, Champions League, FA Cup, League Cup, Super Cup, and the Club World Cup. Ronaldo’s on his first year in the Italian league with Juventus and will most certainly will titles here as well to add to his glittering trophy cabinet.